Elaine McMillion Sheldon is a documentary maker and media artist. In 2013, she released HOLLOW, an interactive documentary that examines the future of rural America. Hollow received a 2013 Peabody, 2014 Emmy nomination and 3rd Prize in the World Press Photo Multimedia Awards. Sheldon’s film and interactive work has been screened and exhibited nationally and internationally. The web can often feel cold, distant and anonymous, but these projects triggered a response from me. Whether emotionally or physically, I felt something. The makers of these projects have used sound, imagery, touch and responsive technology in their work to make us feel closer to them, the story, or the issue. In turn, I feel more connected and invested in the outcome of the narrative. Refugee Republic is an interactive documentary exploring daily life in a Syrian refugee camp. Refugee Republic is an interactive documentary that allows the user to observe everyday life in Domiz Camp, a Syrian refugee camp in northern Iraq. The combination of video, sound, still imagery and illustrations creates a sensory experience that is easy to get lost in. The sound is phenomenal and extremely immersive. Echoes of Tsunami is an interactive sound-based project looking back at the most violent tsunami in history. Looping video content and immersive sound can be experienced in most interactive documentaries, but this is the first project that has forced me to close my eyes--and keep them closed--in order to experience a story. 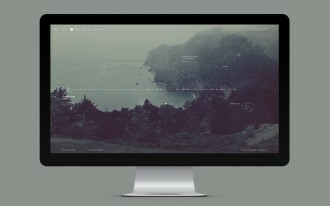 I could do without the voiceover narration, but quite simply this site is stunning and gives me chills. 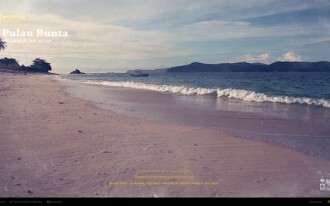 The experience invites you to reflect on the memories of a tsunami, as if you lived through the disaster. The DNA Project is an interactive documentary that chronicles the creation of musician j.viewz’ newest album. An interactive and ongoing exploration of the process of making an album from songwriting to performance to mixing. J.Viewz offers fans an intimate look into his process, struggles and allows them to download and remix tracks. A hands-on experience that allows the user to be as creative, as the creator of the project. 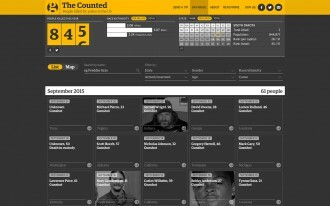 The Counted is a database tracking the number of people killed by police in the United States, drawing on original reporting as well as crowdsourced accounts. The Counted explores the numbers and demographics of individuals killed by police in the United States. Staring at the black and white photographs of the victims, exploring the data, and occasionally seeing that number count rise is enough to send chills up my spine. The user can also be part of this experience by helping report deaths. 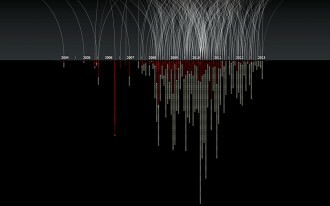 The data visualization Out of Sight, Out of Mind gives weight to the stark facts and figures of U.S. drone strikes in Pakistan, urging viewers to reflect on the life and death realities hidden behind the numbers. I first saw this project in 2013 and it has stayed with me ever since. It's a great example of how to use data to tell an emotional story that would otherwise feel distant and statistical.